We have been providing quality legal services since 1936. Our clients range from families and individuals to small businesses. Government agencies and larger private and public companies. All of our clients are important to us – and have supported us for over 75 years. 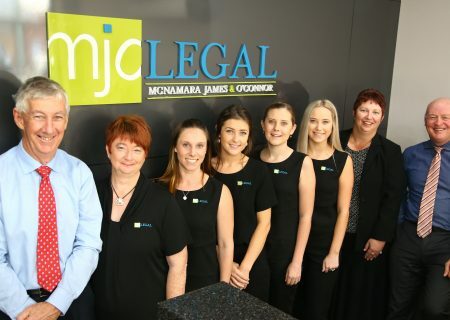 MJO Legal is the new name for the law firm that has for some 19 years been known as McNamara James and O’Connor and before that traded in Skinner Street South Grafton as McNamara and James and as MV McNamara, Solicitor. 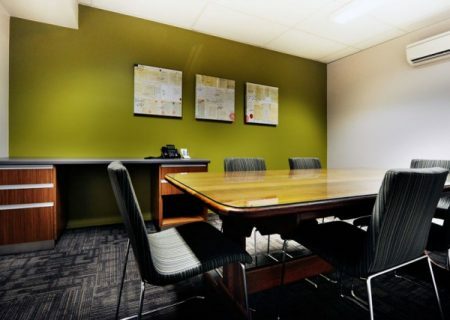 On 10 December 2010 MJO Legal moved to new premises at 79 Victoria Street, Grafton. The partners, Peter James and Paul O’Connor saw this move to new premises as an excellent opportunity to update the name of the firm, presenting a newer and more modern corporate image and adopt a new logo. In 1936 Mervyn McNamara, who is Peter James’ maternal grandfather, established a legal practice in his own name (MV McNamara, Solicitor) at premises situate at 17 Skinner Street, South Grafton. Mervyn practiced as a sole practitioner at those premises until 1948 when he was joined in the firm by Keith James. The firm then changed the name of the practice to McNamara and James. Keith James later married Mervyn’s daughter Gloria, a union that later still produced three sons including Peter James, a current partner in MJO Legal. Mervyn and Keith continued to practice in partnership at 17 Skinner Street, South Grafton until early 1977 when Peter James commenced with the firm as an Articled Clerk following completion of his University studies. Peter completed a 12 month period of Articles of Clerkship (a requirement in those days between completion of University studies and admission as a Solicitor) with his grandfather and father. On 10 March 1978 Peter was admitted as a Solicitor and commenced employment with the firm as a qualified Solicitor. Following the death of Mervyn McNamara in April 1978 Peter joined his father in the partnership that continued to trade as McNamara and James until 1991. On 4 July 1986 Paul O’Connor completed his University and Post-Graduate studies to fulfil the requirements to be admitted as a Solicitor. The following Monday, 7 July 1986 he commenced employment as a Solicitor with McNamara and James, still in the same premises at 17 Skinner Street, South Grafton. In July 1989 Paul purchased from Keith James his interest in the partnership and joined Peter in the firm. Keith continued as a Consultant to the firm until his retirement in 1991. At the end of 1991 the firm moved to newly renovated premises at 52 Victoria Street, Grafton. At about that time opportunity was taken to change the firm name to McNamara James and O’Connor. The firm continued at 52 Victoria Street, Grafton until December 2010. It became apparent that larger premises were necessary to accommodate the growing needs of the firm and as a result plans were made for the construction of new premises at 79 Victoria Street, Grafton. Our ongoing success and growth can be attributed to the continued development and fostering of our client relationships. We like to focus on the individual requirements of each of our clients in order to develop a thorough understanding of each client’s needs and interests before considering the legal issues. This enables us to work closely with our clients and to provide cost effect and efficient legal services for both business and individual clients. Communication is an essential element of the provision of legal services and we strive to keep our clients well informed, providing accurate and timely information at all times. At MJO Legal we like to focus on the individual requirements of each of our clients in order to develop a thorough understanding of their needs and interests before considering the legal issues. We strive to keep our clients well informed, providing high quality services and timely information at all times. Please find below is a list of the types our legal services we can assist you with. We like to focus on the individual requirements of each of our clients in order to develop a thorough understanding of each client’s needs and interests before considering the legal issues. This enables us to work closely with our clients and to provide cost effect and efficient legal services for both business and individual clients. Peter James has conducted litigation in the NSW Supreme, District and Local Courts as well as before the Administrative Decisions Tribunal, Consumer Trader & Tenancy Tribunal (Home Building Division) and Industrial Tribunals. Paul became a partner of the firm in July 1989 and conducts a diverse practice with an emphasis on family law and de-facto relationship issues covering property division, children and parenting issues and all other related aspects of family law.